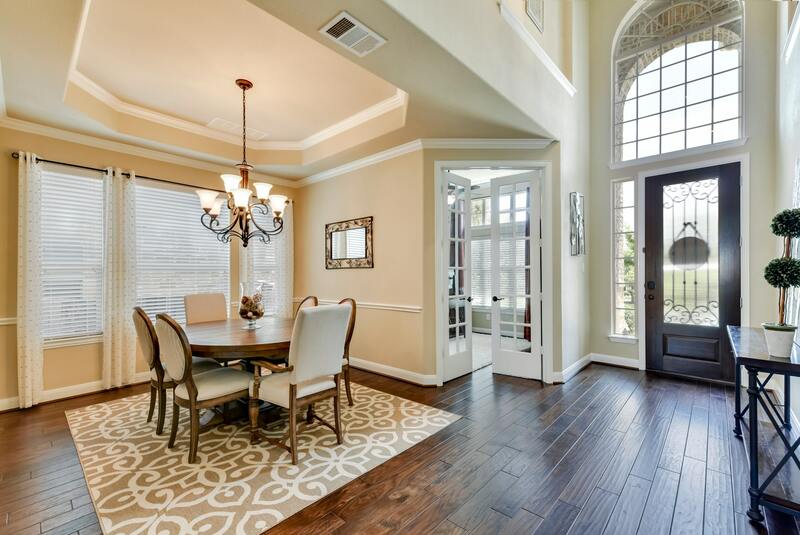 4544 Wandering Vine, Round Rock, Texas 78665: Beautiful Lovingly Maintained Village Builder home in Award Winning Teravista Golf Community. 4 sides Masonry, Energy Efficient Spray Foam Insulation, Hand-scraped Wood floors, Chef Gourmet Kitchen w/ Double Oven, Master Down w/ Luxurious Jetted Bath, Private Suite Upstairs w/ attached bath, Brushed fixtures, Media Room, Office, Game Room w/Built in Desk, Formal Dining,Grand Entryway and more! RRISD schools. Close to all amenities including 3 pools, 2 gyms, playgrounds, tennis, golf, fish ponds, and more!